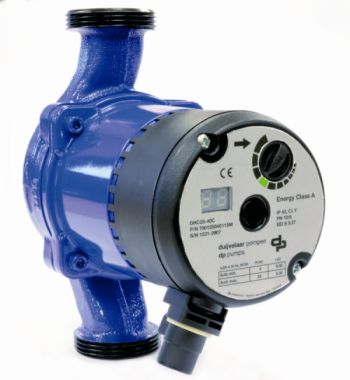 The DHC A (Automatic speed control) series has an Energy Efficiency Index of <=0.27, making it fully compliant with the European Union's latest requirements, which went into effect in January 2013. The DHC A is available in bronze, stainless steel or cast iron. The pumps are fitted with a whisper-quiet permanent magnet motor and integrated speed regulation.